The Dartmoor National Park Authority has now ‘responded’ to its consultation process regarding the ‘Masterplan’ for Ashburton Station – if that is the word to describe keeping your plan pretty much as it was all along with a very minor and completely inadequate concession to supporters of railway heritage. 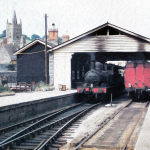 The ‘Option 2′ that is being recommended seems to boil down to a bit of a heritage centre being allowed in the old station building while a monster of a supermarket straddles the platform and trackbed, cutting it off from the goods shed and then more development that in turn cuts off the engine shed and destroys once and for all the unity of the station area. Let’s be clear: the heritage of the station is the whole site: it is not just a building with a nice roof. Ashburton station is a time warp Brunel era branch line terminus and as such needs to be retained in its entirety. For a public body to propose wantonly its wholesale destruction is a crime against our architectural heritage that should be held in trust for future generations, not squandered on a squalid and unimaginative ‘mixed use’ development that has little merit on any level. Everywhere in the UK, councils and public authorities are starting to wish they had safeguarded the routes of their disused railways and in several cases are coming round to thinking anew the future demands for transport links and to consider rail reinstatement in places that have lost them. Spectacularly successful examples can be found in Swanage and on the Welsh Highland where much of the successful argument for rebuilding the railway lay in how much kinder it was the beautiful environment and then, secondly, the hard evidence cited in the Parliamentary report on Heritage railways that for every £1 spent at the railway, local businesses could expect to make £2.70. The DPNA, it seems, has paid no attention whatsoever to any of this. Perhaps they just do not know about it, which makes you wonder how narrow the remit of the plan actually is. It is, of course, correct in saying that the feasibility for reinstatement of a railway over new land has never been carried but these are days when such research is being conducted with full strategic authority support for reinstatement schemes that may be equally challenging. The proposed Avon Rail link from Stratford-on-Avon to Honeybourne Junction springs to mind here. And have they not heard about Portishead? These schemes are growing all the time and yet the DPNA seems not yet to have caught on at how lucky it is to even have the chance to restore the railway linking Ashburton, the gateway to Dartmoor, to Totnes and from there to the soon to be newly upgraded Great Western mainline to Bristol and London. There could be commuter trains into Totnes run by First Great Western and charter trains from the Midlands. It works to Minehead so why would it not work in Ashburton? And if not now, then what about in 10 years from now, when road congestion has worsened again? Instead, head firmly in sand, the ‘Masterplan’ concludes that even allowing the rail corridor to remain available is ‘high risk’ whatever that means. Have they never seen how fast a group of committed heritage railway supporters can get things moving? 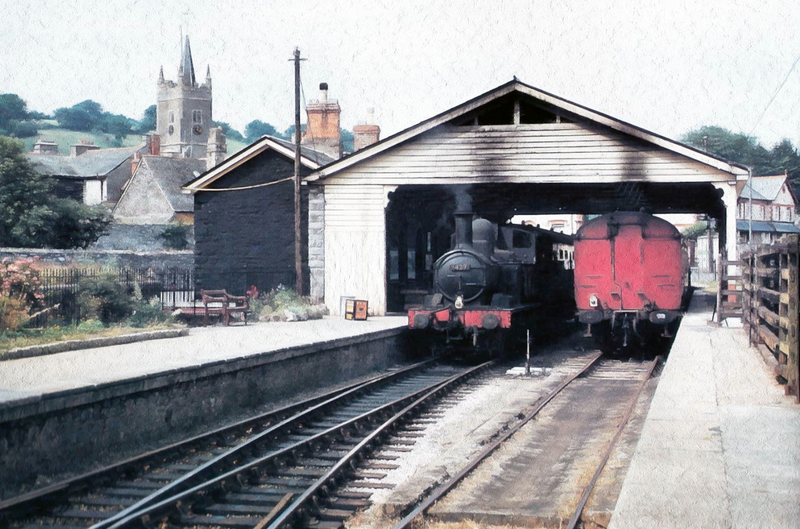 Give the South Devon Railway half a chance and some resources, mobilise the heritage rail movement to help and there could be a live heritage centre at Ashburton in no time at all bringing in money to the town, while serious plans are undertaken to fill the missing link. All that is needed is to step outside the box of limited thinking based on outdated concepts of development, and see the potential but, beyond that, it is about actually asking the residents whether they want a railway and then helping them to rebuilt it themselves. The age of patronage is nearly over and people power is being seen in many places as the old structures creak and groan under their own obsolescence. There is no community in Britain that has not benefited immeasurably (and measurably!) from the building of a heritage railway, or indeed any railway. If the Masterplan goes ahead as planned, a huge and unrecoverable opportunity will have been lost to re-link the town with the national network. There is still time reconsider.